Going by the amount of press Goa beaches get, one could be forgiven for believing that Goa is the Alpha and Omega of Indian beach destinations. Having explored Goa extensively, we decided that it was time to give Kerala – that great, green, soggy coconut-tree-infested armpit that everyone knows of and nobody really understands – a fair trial. 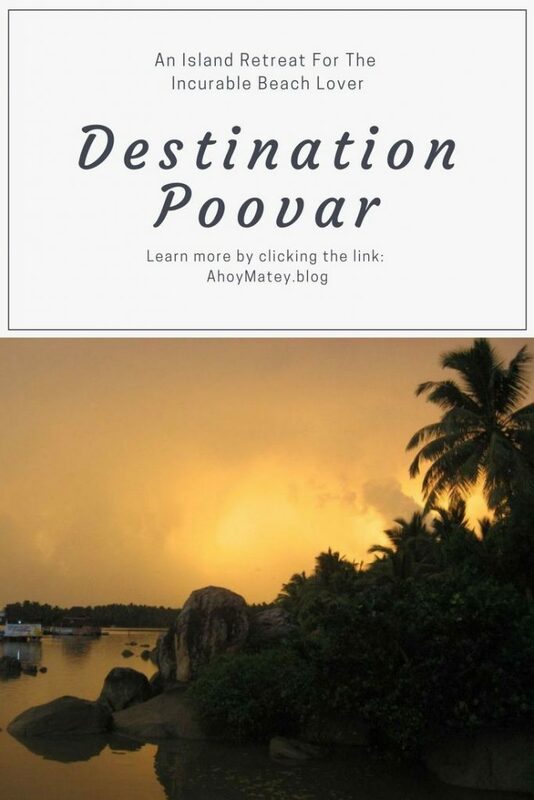 Destination – Poovar, a resort island adjoining Thiruvananthapuram (as though Trivandrum wasn’t enough of a tongue-twister). We had what it takes! We had the brochures, we had the suntan lotion, we had two squirmy brats to hold our sanity to ransom. In short, we were tourists – and we meant to prove it. 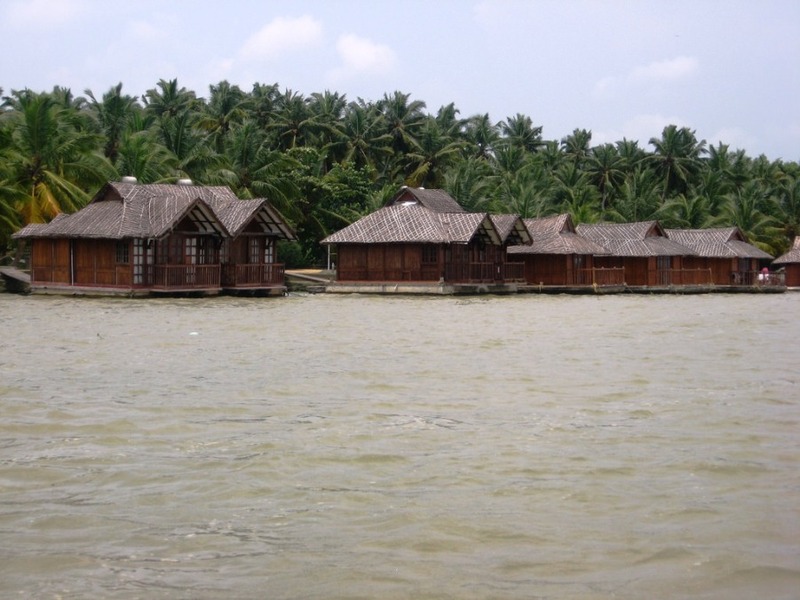 Of course, we also had the then-Club Mahindra Poovar (now known as the Poovar Island Resort) tell us that they were was booked to the rafters – but hey, we’re from Mumbai. We don’t take ‘no’ for an answer. So there we were at Thiruvananthapuram airport in the middle of a furnace-like April, wondering how it could POSSIBLY get any hotter when summer hit its peak next month. 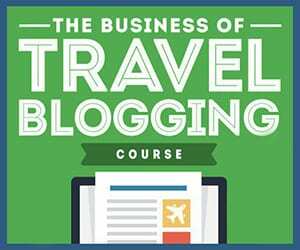 Did I mention ‘tourist orientation’ earlier? Kerala doesn’t have any. 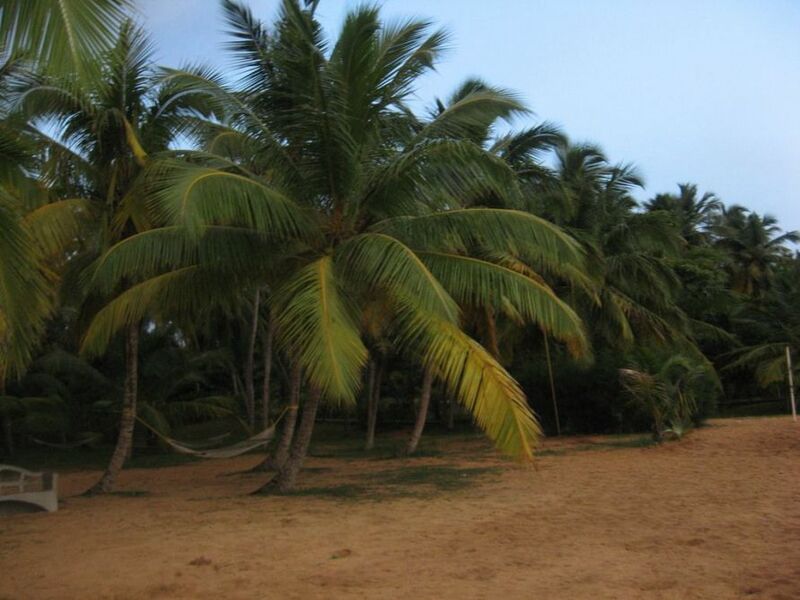 I mean, it has great beaches and one helluva lot of coconut trees, but it isn’t tourist-savvy. I mean, they’re friendly enough at the retail level as long as they see a wallet-bulge in your pants, but it takes more than mercenary friendliness to make you feel welcome there. At the very least, you need to feel that you’re on the same page as they are – and you will never get that reassurance. Maybe it’s only because they mean well but can’t communicate the fact to you. Don’t go by Kerala’s literacy level – that may be the highest in India, but it takes English to be tourist-friendly. 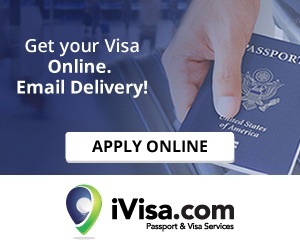 Correction – it takes COMPREHENSIBLE English. I believe they do speak the language in Kerala – but for all it sounds like, it could be the rattling of coconut-oil slathered chestnuts in a hollowed-out Webster’s dictionary. It does not compute. Not to Indian ears, and most certainly not to foreign ears. English, as spoken by a native Keralite, comes across like an encrypted mix of busted bongo drums, castanets and out-of-tune guitar strings misprocessed through a waa-waa pedal and echo chamber. Foreign tourists have an advantage, though – they’re not averse to making asses of themselves using sign language. Anyway, we did manage to get a taxi that took from the airport to the resort’s launch jetty. Along the way, we discovered that we were a mere coconut oil-skid away from Kovalam Beach. We got all excited over that (a mistake in that heat) and vowed to check it out after our four-day stint on Poovar Island. 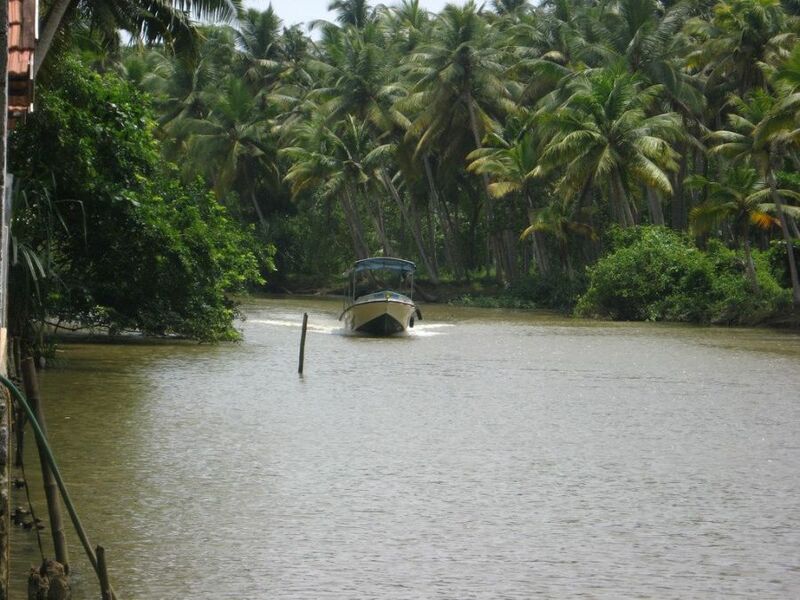 The boat ride took us along an amazing, winding waterway where the coconut tree ruled supreme – a relentless canopy of green. Along the way, fishermen went about their fishermanly business without paying us the slightest attention. I was impressed – this was the first contingent of locals I had seen who had better things to do than stare and flash their startlingly white teeth at us. 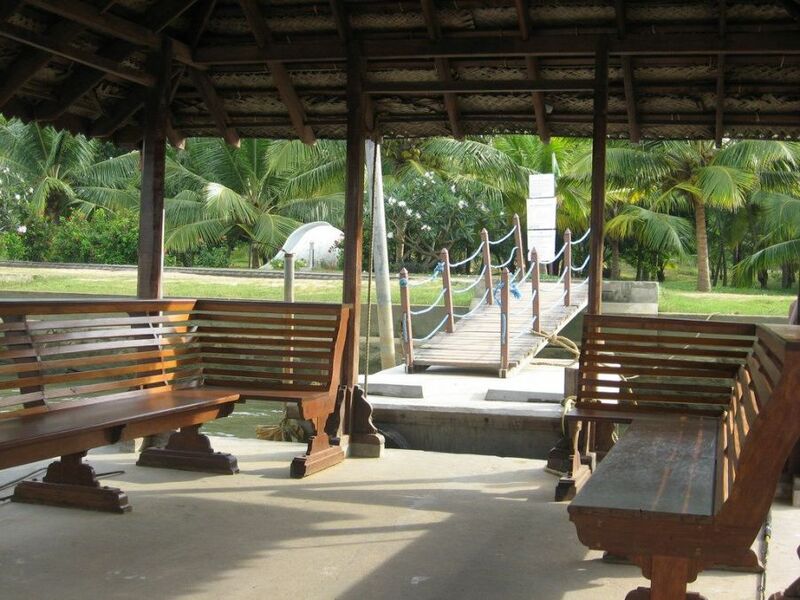 The boat pulled up at a jetty that took the form of an open houseboat fitted out with wooden benches. Beyond this strange but beautiful contraption stretched a concrete lane that led to the actual resort. 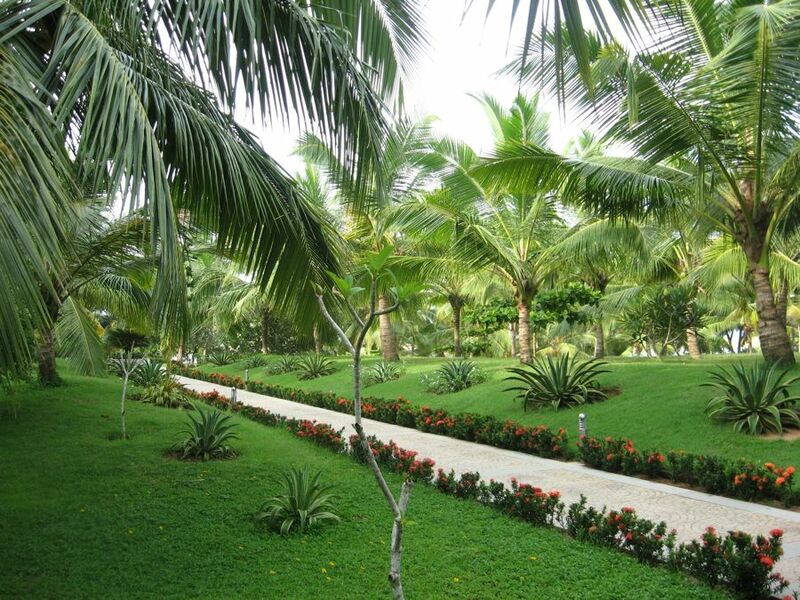 The lane was uncompromisingly lined with… you guessed it – coconut trees. I had reached a point where I would have given a hundred coconut trees for the sight of one noxious Tata truck or overturned garbage can crawling with hunger-crazed cats. Checking into the resort was a bit of a challenge. Apart from the decided difference in English language versions, it turned out that they had the wrong rooms booked for us. They had no kitchenettes in the rooms. We had been very specific about our requirement of kitchenettes and had lugged an improbably heavy bag of kitchenettable foodstuff along. This bag was now threatening to become the gastronomic equivalent of a millstone around our necks. The Mumbai mindset we had brought along refused to dovetail with this, but we were also beginning to latch on to an important lesson in South India tourism – while in Kerala, do as the catatonic comatose do. What about Poovar itself, you ask. This is understandable and shall be addressed accordingly. Poovar is another world. This little island is almost too perfect to be true, which means that it probably is. It would not surprise me to learn that a bunch of gung-ho geologists from Singapore descended in this part of the Kokknut Oyl Bowl of Indya and hacked this little piece of real estate off the mainland with a few truckfuls of napalm. I can almost see them unleash a frenzy of high-end landscaping by the light of many full moons, adding the picture-perfect walkways and concrete paths, the self-contained houseboats that probably need to be booked an entire lifetime in advance, the statuary, the ponds and the flower beds. 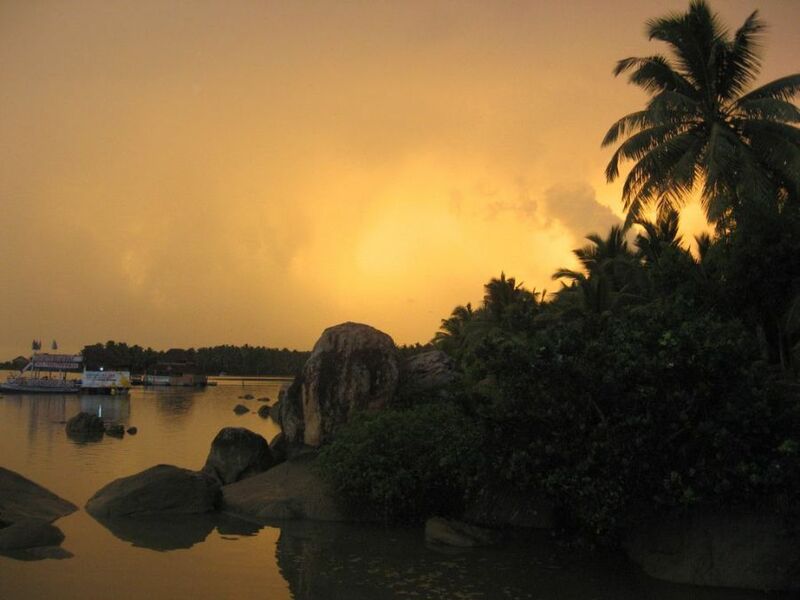 Manmade or not, Poovar is the very epitome of tranquillity. The resort featured a swimming pool complete with bar, a rather neat gymnasium contained largely by bamboo thatching and a restaurant that serves out-of-this-world South Indian, continental and Mughlai a la carte and buffet meals. Stay away from the resort’s store, however – they sold us a Korea-made pair of plastic diving goggles for Rs. 800 and wanted to follow this up with a fake piece of Nepali stoneware that would probably have cost us our mortgage, pension plan and a goodish part of my left arm. Bring everything you need from wherever you’re coming from and returning to – and I mean EVERYTHING – toilet paper, ciggies, sleeping/birth control pills, booze, T-shirts that say “I LOVE POOVAR” (readily available at Mumbai’s Colaba, Delhi’s Palika Bazaar, Goa’s beach shacks or anywhere else where tourist dross is sold). 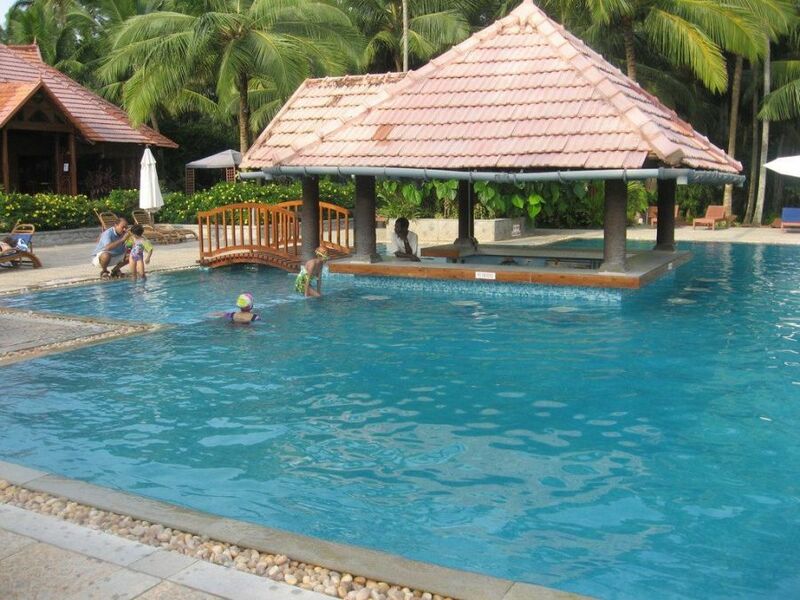 Also, expect to do a fair share of sweating while at the Poovar Island Resort. The rooms’ air conditioners seem to have called an uneasy truce with Kerala’s trademark mugginess and worked only half the time. Nothing that the somnolent housekeeping guys could do (once we managed to convince them that it would be really nice if they could do something BEFORE we checked out four days later) made much of a difference. Our four days on Poovar up, we got ferried back to the mainland and decided to put our plan of checking out Kovalam Beach before we flew back to Mumbai on the table. This cost three hours of precious lifetime, which will never be replaced. 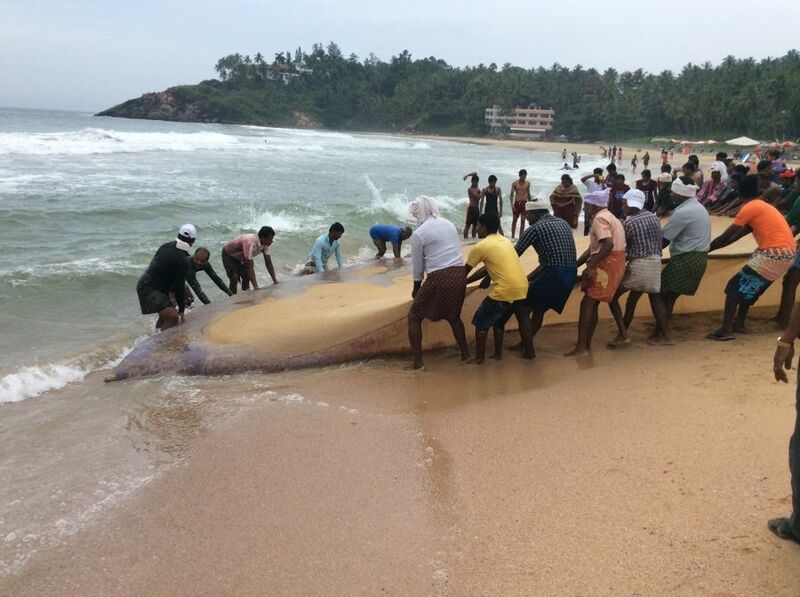 Take my advice – stay away from Kovalam. Apart from a picturesque lighthouse, there is more charm in the least of Mumbai’s overcrowded beaches than here. It has all the character of a Bangkok flea market, with a comparable retail component. Cheap restaurants, tawdry Kashmiri and Nepali handicraft shacks, touristy keepsake outlets and hostelries of VERY doubtful repute have Kovalam in an uncompromising death grip. The ten feet of remaining beach is black with some kind of permanent oil slick, and the sight of pale-skinned Westerners trying gamely to catch a tan on this DMZ-like stretch made me want to cry softly with mortified repulsion. Every intact seashell larger than two centimetres that have ever been retrieved there is being sold five feet up the waterline as part of some outlandish boardwalk knickknack. Our Poovar adventure ended at Thiruvananthapuram Airport with an eight-hour wait for an Indian Airlines flight that had already been delayed by seven hours, to begin with. This delay, which made it into the papers two days later, apparently was a record of some sort, and I guess we should be proud of having been there to experience it. While it lasted, it was nothing less than gruelling, torturous and completely infuriating. The airport authorities were finally forced to put up all stranded passengers in the First Class lounge one floor above. I arrived back in Mumbai with an hour to spare before hurrying to the office, my mind still a confused daze of coconut trees…. Arun Chitnis lives in Pune and likes it there, but can sometimes be convinced to travel. Not a fan of tropical heat, he prefers the mountains to beaches. 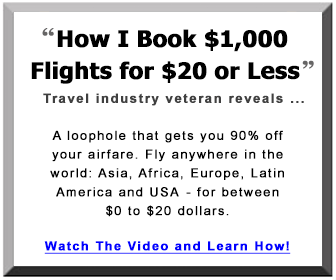 However, he acknowledges that no Indian can perpetually avoid Goa, and does land up there sometimes. When not writing on real estate, he overfeeds his cat and takes weekend breaks in nearby Lavasa - and even admits to patronizing Lonavala at times. 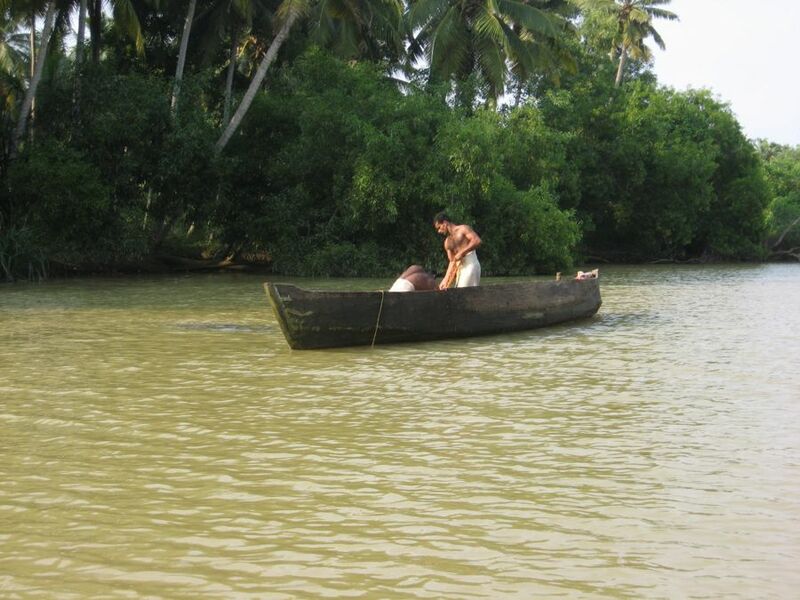 Poovar is the very epitome of tranquillity. This little island is almost too perfect to be true. 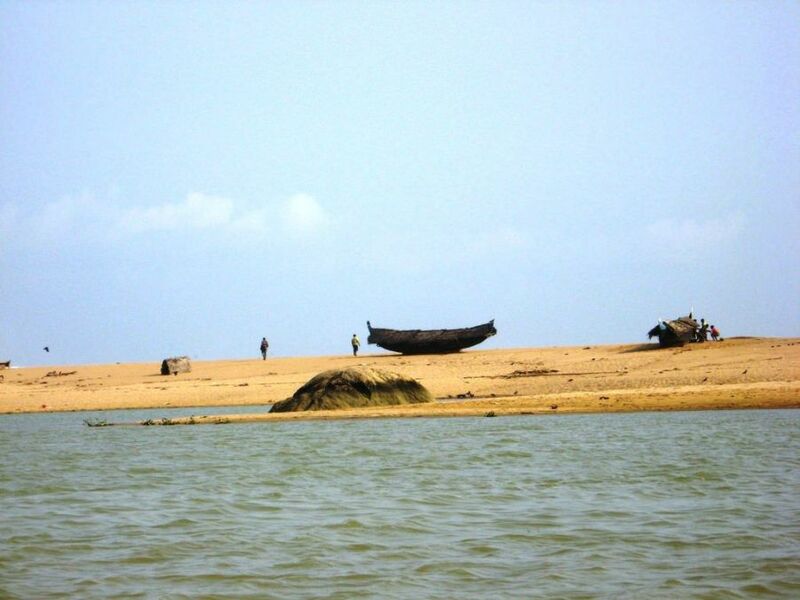 Read our travelogue to this beautiful part of Kerala.